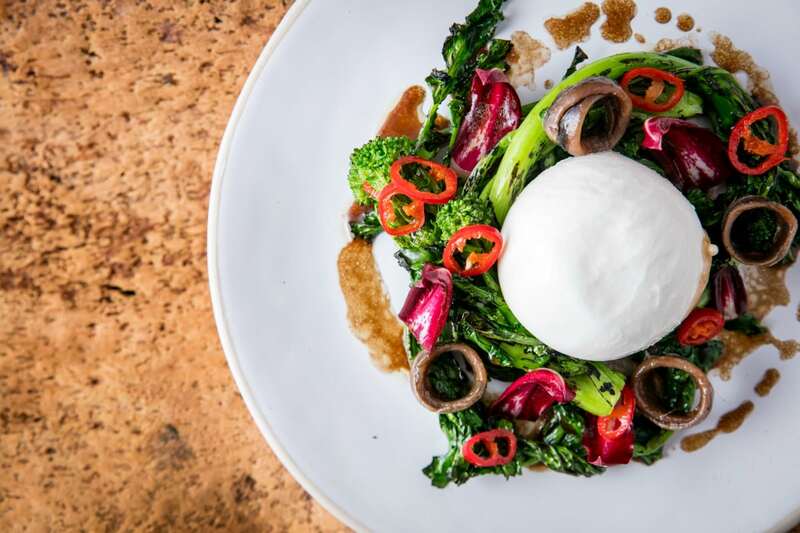 Opening on a spot along the Kilburn High Road this month, Quartieri is an authentic Napoletana pizzeria from the team behind Naples’ famous Trianon Vomero pizzeria. 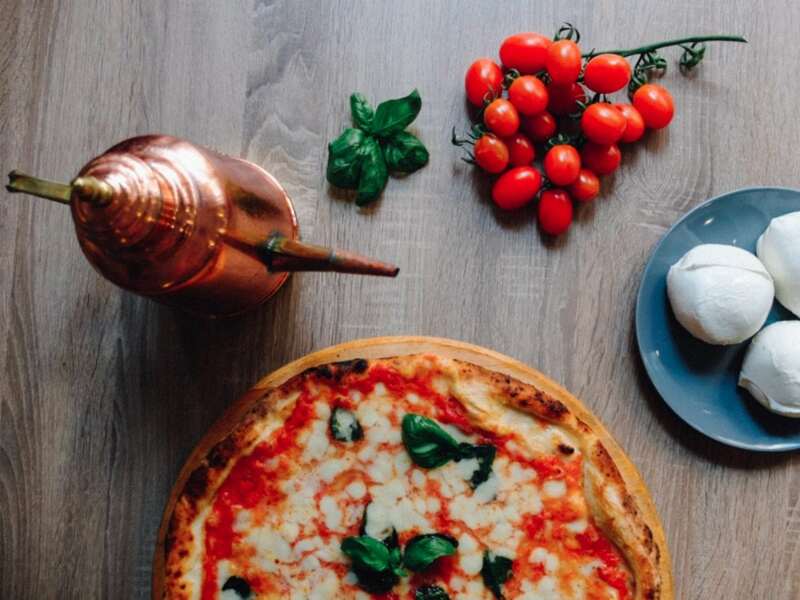 Hoping to bring a true taste of Naples to London, Quartieri’s specialty will be pizzaioli Napoletani, made using flour and grain that’s milled in the traditional way and slowly risen with minimal yeast to create a truly authentic pizza. Split into four sections, the menu will include antipasti; la storia (the classics); la innovazioni (Quartieri specials) and dolce. Starters include crocchette and arancini, plus bruschetta and buffalo mozzarella with tomato. Classic pizzas Marinara or Puttanesca are joined by innovative new creations including ‘Costiera Amalfitana’ – inspired by modern Naples and made with lemon or crema di pistacchio. To finish, a selection of sweet pizzas will be on offer, as well as artisan gelato sourced from Gelupo in London. Inspired by the energy of the city, the design and feel of Quartieri will be warm and vibrant with a flash flame pizza oven at the heart of the restaurant. The oven is handmade and designed specifically to retain the perfect temperature, giving the pizzas an even bake from top to bottom. Quartieri is set to open on 14th April and can be found at 300 Kilburn High Rd, London, NW6 2DB. 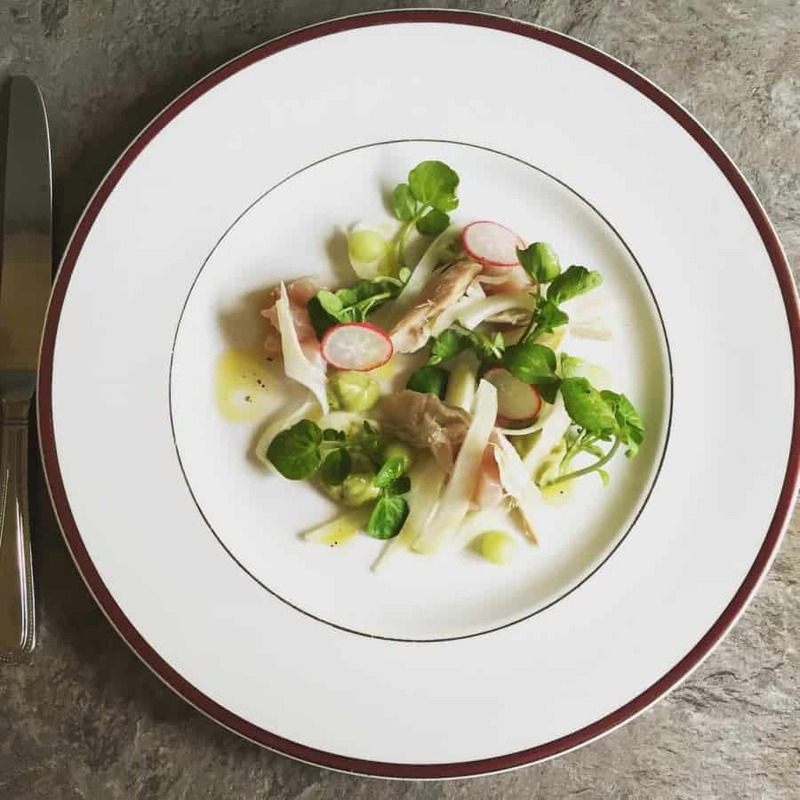 Following the huge success of Francesco Mazzei’s Sartoria on Mayfair’s Saville Row, the chef is set to open Radici, an authentic Italian trattoria in collaboration with D&D, which will come to Islington this month. Opening in the borough that Mazzei now calls home, Radici (translated as ‘roots’) will strive to reflect the Calabrain cuisine of the chef’s heritage, also incorporating dishes from Southern Italian areas of Campania, Basilicata, Puglia, Sicily and Sardinia. In the kitchen, Antonio Mazzone (Francesco’s right-hand man for over 10 years) will offer an ever-evolving menu mainly composed of Francesco’s favourite dishes from his homeland. Guests can expect the likes of umido di baccala (salt cod with potatoes, tomato sauce, onions, capers and black olives); ferrazzuoli (eggless pasta with southern Italian lamb, pork and beef ragu) and involtino di fegato (calf liver stuffed with pancetta, garlic and sage, served with smoked potato mash). In addition, a number of fresh pizzas and breads will be baked on-site in a traditional wood fired oven, and families will be able to indulge in a feasting menu every Sunday, in true Italian style. Radici is set to officially open on 18th April (soft launch 6th-16th) and can be found at 30 Almeida Street, London, N1 1AD. A number of chefs have attempted to showcase the kitchen’s place as the heartbeat of any Indian home within the last year, channeled through a number of London restaurant openings. Of these, Calcutta Street in Fitzrovia is, perhaps, the most obvious. This spring, however, Tamarind Collection are set to open a sister restaurant to Tamarind of Mayfair, in Soho. 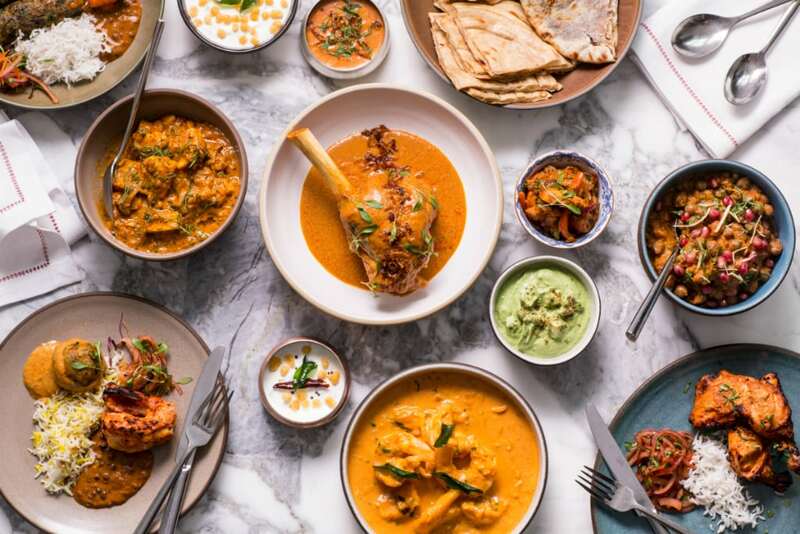 Heavily inspired by Indian home kitchens, Tamarind Kitchen will bring a convivial dining experience to the heart of Soho, offering a number of dishes which reimagine the award-winning cuisine of Tamarind of Mayfair. The new restaurant’s menu will include starters such as Makai Kachumber (corn and vegetable salad with a chat masala dressing) and Karara Kekda (soft-shell crab with potato salad and homemade pickles). Elsewhere, a selection of kababs includes the ‘Game Platter’ – offering a concoction of tandoor-cooked quail, duck and guinea fowl on a bed of vermicelli. Other main dishes include Hydrabadi Gosht (slow-cooked lamb in a browned onion sauce flavoured with Kashmiri chilli) and a traditional South Indian Alappuzha Fish Curry with Kingfish and spiced with tamarind, mustard and curry leaves. A selection of Tamarind’s signature rice, breads and dips will also be available. Tamarind Kitchen is set to open on 4th April and can be found at 167-169 Wardour Street, London, W1F 8WR. I know the Quartieri restaurants in Italy. they are great. Which is not what I can say about Tamarind Kitchen, unfortunately. The food is nice, but lacks the taste and style of curry that I’m used to. maybe when they reopen, they will revamp their style and flavour.